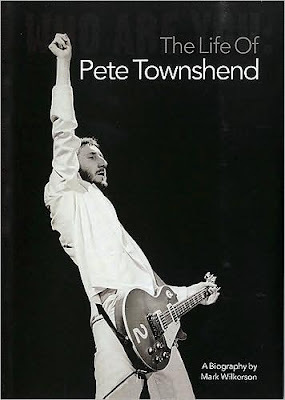 This is the audio of a review of the fantastic biography of The Who's Peter Townshend by Mark Wilkerson. Originally self-published as "Amazing Journey," a new edition, retitled "Who Are You: The Life Of Pete Townshend" was recently released. In addition to a bit of polish, the new edition boasts an introduction by Pearl Jam's Eddie Vedder and a new interview with Townshend. Wilkerson was not a professional writer when he began, but his herculean research, deft organization and very readable prose certainly earned him the title of "author." It's a terrific book for Who fans and non-fanatics alike. When this review ran on WLRN-FM, the Miami NPR station in August 2006, Endless Wire, The Who's first album of new songs in 24 years, had not yet been released, and I was thrilled to debut its new "mini-opera," Wire & Glass following my review (and included herein). See my LinkedIn profile here. Garrison Keillor and "Jimmy Valente"
© 2012-2019 The Pachter Family Trust. All rights revered. All wrongs reversed.